This is Alex Smith, and I’m telling you: the world media is asleep, drugged into Trump and Trump investigations, lost in meaningless entertainment babble, while endlessly selling you very dangerous drugs. Here is the real story: humans have already driven Earth’s climate into a new state. The atmosphere has filled with greenhouse gases, acting like a blanket with heating that can no longer be stopped. The melting poles are just the beginning. If you are a regular Radio Ecoshock listener, you probably know that already from the many scientists, hundreds now, that I’ve interviewed. Maybe it’s hard to be surprised. But I’m shocked by countless signs that we are already entering the extreme danger zone. Let me give you just one example: record high temperatures, lasting longer than usual, are slamming the Northern Hemisphere. Yes it’s the start of summer. Summers are hot. But in 27 years of monitoring climate news, I’ve never seen a collection of heat reports as came in this past week. In the United Kingdom, surrounded by cooling oceans, temperatures of 91.5F melted roads. That’s hot for the UK. Health officials warned young kids, who have less bodily heat control than adults, and seniors, who die in great numbers during extreme heat events, to take shelter. Then it got hotter. In London, ambulance calls went up 46% as temperatures there reached 35.4 degrees C. or almost 96 degrees. Most people in the UK do not expect such heat, and do not have air conditioning. The science blog Phys.org writes about the heat wave over all Europe, from London to Siberia. There have been heat wave deaths already in California and New Mexico. You know some flights out of Phoenix Arizona were canceled, because the heat was too intense to allow some planes to fly. There were three record hot days in Phoenix, reaching 117 degrees Fahrenheit on June 20th, which is over 47 degrees C. The overnight low, and this is key for human survival, was over 90 degrees C, or 32 C. That’s relentless heat. In perfect timing, our recent Radio Ecoshock guest Camilo Mora, of the University of Hawaii, with 17 other scientists from several countries, published a new study in the journal Nature Climate Change. The title is “Global risk of deadly heat“. Seth Borenstein, the reliable reporter from Associated Press, gives it this headline: “Too hot to handle: Study shows Earth’s killer heat worsens“. The study says 20 percent of humans already experience 20 days a year of deadly heat. By the end of this century, unless dramatic action intervenes, three out of four humans will live, or die, through that heat. It’s planetary heating. Let’s call it global warming. I’m calling it. The heat is here. We may have some cooler years, some crazy cold snaps to bring the deniers out of their cozy homes and offices, but from this time on out, we’ll get more and more heat waves, lasting longer, with hotter nights, less ice, and less chance to save ourselves from outright climate catastrophe. Did the Russian interfere with American elections? Our first guest this week will explain how monumental and lethal all human intervention in the climate has been. 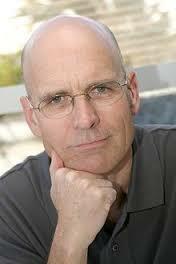 Clive Hamilton talks about his new book “Defiant Earth”. Then we’ll go to what you might call a lesser story: the nuclear industry, and their captured regulators, have decided it’s not worth a few million dollars to prevent the evacuation, possibly permanent evacuation, of millions and millions of Americans. That’s a story repeated wherever there is nuclear power near big population centers. And it’s not just the known and demonstrated risk of reactor melt-down. No, it’s the vast collections of nuclear fuel accumulated in poorly protect pools. The legendary Frank von Hippel from Princeton tells you the awful truth. Three years ago I talked with Clive Hamilton about his book “Earthmasters“, the humans who want to control the climate with geoengineering. Now this leading Australian intellectual is back with even worse news: the future is stranger than anyone thinks. He’s captured all that in a new book titled “Defiant Earth – the fate of humans in the Anthropocene.” That’s your fate, in the new time. Dr Hamilton has lectured at Yale, Oxford and Cambridge. He’s been the Executive Director of the Australia Institute, and long-time Professor of Public Ethics at Charles Sturt University in Canberra. Here are just a few of my own notes from the interview. It appears we are in a climate shift. The high priority now, Clive tells us, is to protect the livability of planet Earth. Something called “the Great Acceleration” began to ramp up all human uses and impacts on the planet. This is not just climate, but killing off animals and plants and their habitats, grabbing more minerals, interfering with all kinds of natural cycles. That means humans have created a new age, which scientists call “The Anthropocene“. That would be exciting but it’s not good news. Hamilton, who is in contact with many of the world’s top scientists, says we will go well beyond the danger point of 2 degrees C. of warming, at least to 3 or 4 degrees. Meanwhile, “futurists” (like Steven Pinker as one among many found in bookstores) write as though climate change will not completely re-write the future. Too many top-rated academics, Hamilton complains, talk as though the warming age is not happening. They are “trapped in an obsolete past” in “the great silence”. Since Hamilton wrote about geoengineering in his book Earthmasters almost 4 years ago, I ask whether we can use technology to save us from technology. The new problem is this: we have thrown many Earth systems out of order. Now the climate and other systems are not controllable, by us or anyone else. In fact, there “is no analog state” – no previous period in all of Earth’s history where one species rapidly altered everything. Earth is no longer a passive canvas where humans can paint their own destiny. Earth is reacting violently – and thus “Defiant Earth”. Should we assume, as so many reports do, that the economy can continue as usual despite continued hits by climate change – you know, long heat waves breaking the grid, droughts killing off crops and people, very violent storms and floods? Eco-modernists, like the folks at The Breakthrough Institute say “yes”. We just have to tweak capitalism to reward lower emissions (or something). Hamilton and I say “no”. (a) we try to brazen our way through it by using even more technology, trying to control it all. If we do that, Hamilton says “we are screwed”. or (b) we “practice meekness”. I ask Hamilton what he means by that. I would add a third possibility: we don’t practice meekness, we don’t try to save ourselves in time, and we suffer catastrophe. That’s just a possibility. Meanwhile, Clive and the Earth systems scientists he’s consulted agree we have shifted Earth systems in a way that is now irreversible. We can’t turn back the geological clock. There is no going back to clement Holocene. We’ll have to adapt to the new climate we’ve created, or die. At least, all agree, we could try to save ourselves and avert the very worst. Americans are not protected from a catastrophic nuclear waste fire at many reactors sites. The fall-out from radioactive fuel could be huge, much larger than from the 2011 Fukushima reactor accident in Japan. Millions of people would be exposed to radioactive particles. There could be forced mass and possibly permanent evacuations of major U.S. cities. Taxpayers could be forced to pay trillions for damages and decontamination efforts. That’s all in a new article published in the May 26th issue of Science magazine. The report comes from researchers at Princeton University and the Union of Concerned Scientists. Our guest Frank von Hippel is a co-author of this warning. He is a senior research physicist at Princeton’s Program on Science and Global Security. That is based at the Woodrow Wilson School of Public and International Affairs. 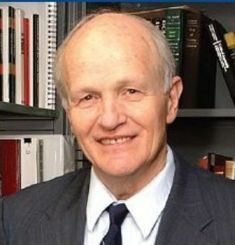 Von Hippel is the author of several books, has advised governments in the past, and has a thorough background in the physics of atomic affairs. “PRINCETON, N.J.–The U.S. Nuclear Regulatory Commission (NRC) relied on faulty analysis to justify its refusal to adopt a critical measure for protecting Americans from the occurrence of a catastrophic nuclear-waste fire at any one of dozens of reactor sites around the country, according to an article in the May 26 issue of Science magazine. Fallout from such a fire could be considerably larger than the radioactive emissions from the 2011 Fukushima accident in Japan. I’ve been following the risks of nuclear power since 1974. I’ve lived in a uranium mining town (and written the obituaries of the miners who died in their 50’s). During my years at Greenpeace, I subscribed to industry newsletters and mined official databases. Then with the Fukushima accident, I went fully into it all again, still learning. All of this is brought to bear with intense questions, and brilliant answers from von Hippel the physicist who has been in the field longer than I. 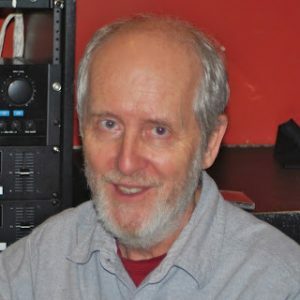 If you think the possibility that New York or New England may have to be evacuated, and then be radioactivity for centuries is important – please listen to this interview! By the way, all the information we learn from von Hippel applies to any country with nuclear reactors, and any person living in the Northern Hemisphere. We’ve learned the hard way that a nuclear accident anywhere is everybody’s problem. It was very hard to get reliable information about that fuel fire at Fukushima, especially at Reactor 4 where the building was unstable, and Reactor 3, which was burning and storing plutonium-laced fuel. The Japanese government was trying to control public fear, and U.S. regulators weren’t saying much either. I’m concerned if an accident happens in the States, the public won’t get good and timely information for the same reasons. In previous interviews, experts from the Union of Concerned Scientists told me the NRC has a history of waiting years to make safety regulations, and then giving reactor operators many more years to implement those changes. What happens if we have a nuclear fuel fire in the meantime? The public thinks this is all taken care of, just like people in Japan thought their experts were completely in control of nuclear technology. American authorities and nuclear operators have known about this big risk from nuclear fuel pools for decades. Reactor buildings are supposed to be hardened to withstand a terrorist attack by crash-landing an aircraft. It’s my understanding that spent fuel ponds however, which contain far more radioactive material, are not hardened in that way. Frank tells us the pools themselves are very hardy, but the roof over them is not much better than a steel shed. It is not air-craft proof at all. We are not telling the terrorists something they don’t already know. Because the Yucca Mountain nuclear fuel storage site was never built, these fuel pools are accumulating years and years of highly radioactive materials. They are now “dense packed” way beyond their original design. Von Hippel tells us there is more radioactive matter in these pools than in the actual reactor. To avoid “going critical” (becoming an uncontrollable atomic reaction) – the fuel rods have to be put in special boxes. At Fukushima, heavy equipment fell into fuel pools breaking down those protective barriers. It’s a miracle there was not a fuel fire at Reactor Four. For the first month, the NRC thought there was, but apparently there was just enough water to stop a major fuel fire. That saved Japan. In the article in Science magazine, there is a graphic map showing possible areas covered by the radioactive plume, if a spent fuel fire erupted at the Peach Bottom nuclear power plant in Pennsylvania. If the fire happens in January, it looks like Philadelphia becomes red hot, and New York City gets a dose that could be survivable. The same accident in April is a massive disaster, spreading hot contamination up and down the East Coast. But a Fall fire takes the danger West toward Virginia, Kentucky, and even Ohio. Frank von Hippel is from a famous family of scientists and educators. He’s written books to educate the public about nuclear risks. He was Assistant Director for National Security in the Clinton White House Office of Science and Technology Policy. He’s been at this for at least five decades. We were lucky to have Frank on the show. LAST WORD FROM ALEX: IT’S LIKE NOBODY HEARD THE SCIENCE OR THE WEATHER REPORTS! It’s like nobody heard the science, the news or the weather reports. It’s like humans do not believe their own sweating bodies. The atmosphere and the seas are the new invaders. As Clive Hamilton says, this is the dawn of the Defiant Earth. Maybe we can’t stop this now. But can we at least sound the alarm and head for the lifeboats, instead of going down with the ship? That will be my new mission, when I return with new Radio Ecoshock shows this coming September. In the meantime, I’m going to comb my eleven years of interviews, to bring you the fundamentals and the cutting edges you may have missed. Please tune in again next week. If you have been enjoying Radio Ecoshock, I encourage you to make a contribution, large or small, to help pay the costs and keep me going. Thank you for listening to Radio Ecoshock, and thank you for caring about the future. Thank you very much Alex, excellent show, again. Thank you, Alex. This was an excellent show. I do very much appreciate the work that you do to help us all understand. Once in a while, I get a bit frustrated with some aspects of your shows… but overall, you provide a service that is priceless.. I wish I could however, send some type of monetary appreciation. I am working on it … and it still won’t be much… but I am trying to fit it in my budget… it’s the least I can do. Nuclear power won’t “go away” because it has nowhere to go to. If you close your eyes and shake your fists and wish real, real hard – it will still remain. James Hansen is pro nuclear is he crazy?